In Episode 1 Reg shifted our focus to the prevention of chronic diseases as key to managing our health. In this Episode 2, we asked Reg to share his insights on preventing disease in community rather than the traditional model of treating the condition in an acute care setting. Our biggest challenge in health is to find methods to prevent disease, especially chronic disease. This happens in community. To address this challenge, we are partnering and collaborating with health innovators and with organizations like Primary Care Networks, Alberta Health Services and social services organizations, who have a variety of programs that address the prediction, prevention and management of chronic disease. We are just beginning to understand and recognize how municipalities can play a role in driving better health outcomes. One of our key strategies is to look at the kinds of municipal services and programs we can put in place, informed by health, that drive better health outcomes. Our collective goals are better outcomes for patients and reduced costs to our system. We also believe that bringing together these groups of innovators will lead to solutions that can be applied to many jurisdictions with similar health challenges. Reg was hired as the CEO of Health City in February 2018. While new to the role at Health City, Reg is no stranger to the health ecosystem. He brings to the role a wealth of expertise in both the biomedical sciences as well as business development and his vision of how to deliver on the goals of Health City reflect that experience. Reg has 20 years’ experience spanning the biotechnology and high technology sectors. Reg has served in a variety of C-level and board positions with local medical technology-based start-ups. He currently serves on the Board of BioTalent Canada as Chair. 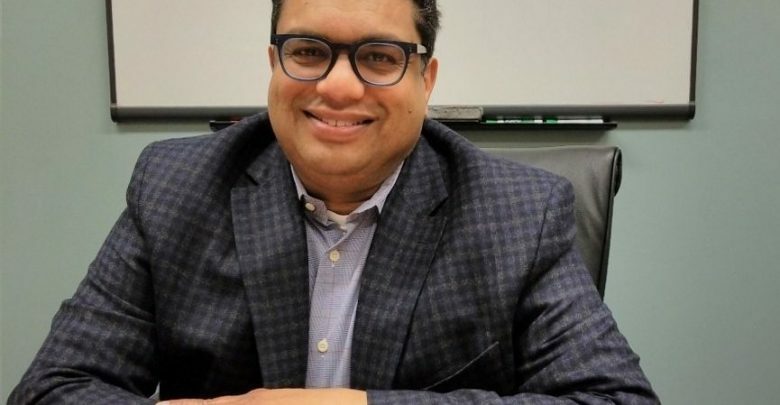 He also sits on BioAlberta’s policy committee and serves as President of the Board for the Seniors Association of Greater Edmonton (SAGE). He has a B.Sc. in Physiology and an MBA in Finance. Health City is an economic development initiative that catalyzes, accelerates and connects the health innovation ecosystem in Edmonton and the surrounding region. It represents a hub of expertise in health and health industry that supports the broader innovation ecosystem in our region. Health City relies on the programs and services in its ecosystem – through projects and initiatives to scale SMEs to global markets, and services and programs in its ecosystem to strengthen SMEs enabling them to be global contenders.